The “WordPress Family” in general is a wonderful place to explore. What I have found in the six years I have been a member of this family with my own spiritually-centered blog is a voice that cries out for fairness and justice for all in a country in the leadership of its current President Obama has found a dark place, we as a nation may not be able to overcome. Pray for our country, stand-up for our country, vote the strait Republican ticket in November 2014. People who have fought against the darkness of an evil force filled with mental anguish, hate, and suicidal thoughts and voices of evil, telling them to kill themselves and take the lives of others, won when they searched for hope. Instead, they persevered and snatched their life from within that dark world, and became respectful citizens living in society and making a difference in the lives of others, who they themselves were once like, have saved the lives of many others, by telling their stories. 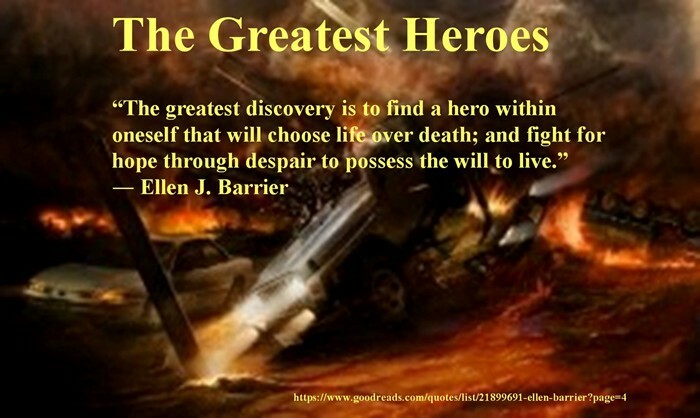 They are among the greatest heroes. “Evil imaginations causes harm to others.